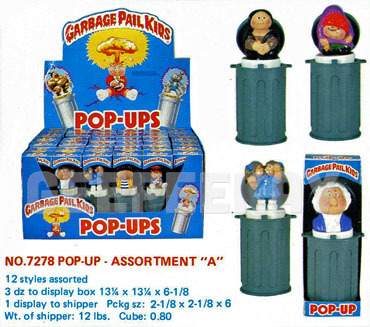 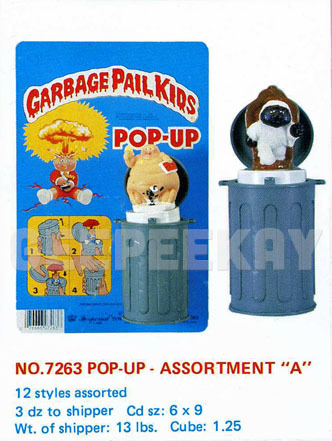 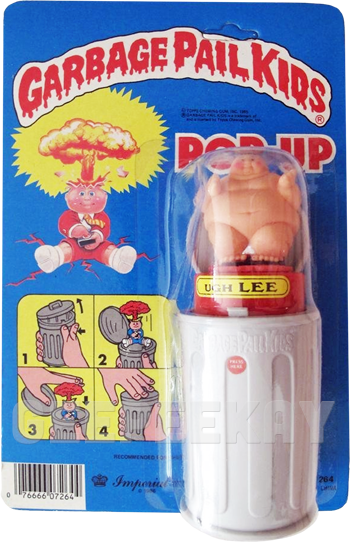 The Pop-Up release from Imperial Toys was unique for a number of reasons. 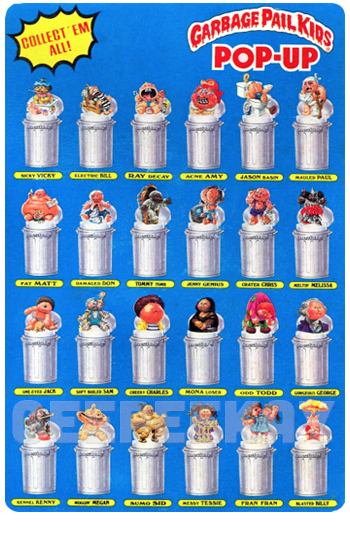 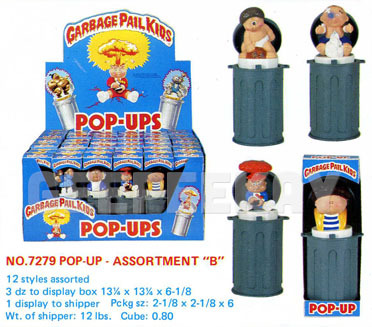 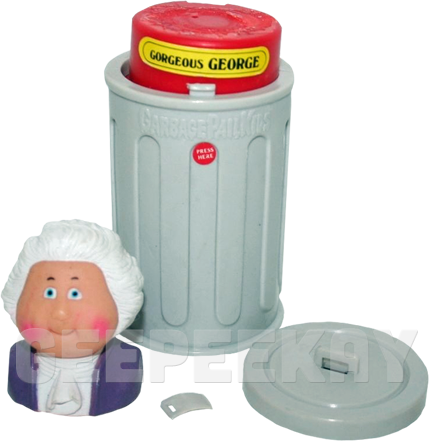 Aside from Cheap Toys (and the Galloob prototypes), this is as close to an 'official' Garbage Pail Kids figure released during the 80's. 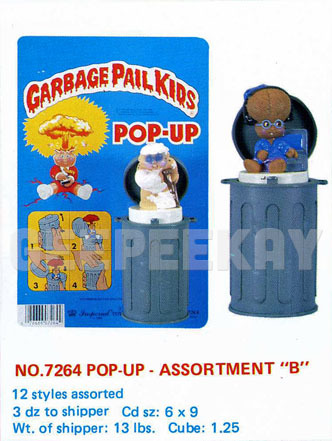 In fact, these figures frequently appear on auction sites without their trashcans by people assuming they were standalone figures.